Acknowledgment copies of the separate letters addressed to the Director General of the DSS, Mr. Yusuf Bichi, and the Inspector - General of Police, Mr. Ibrahim Idris, were obtained by The PUNCH on Tuesday. Copies of the letters dated November 14 , 2018 were received at both the DSS and Police Force Headquarters in Abuja on November 6. 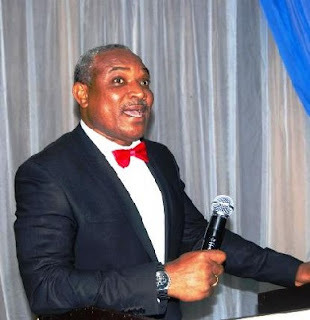 Obono - Obla, whose office is domiciled in the Office of the Attorney - General of the Federation, specifically informed the heads of the security agencies in his petitions that one Bishop Eze Orieke made the false claim with purported documents from the London Bridge Hospital (Regional Medical Laboratory) to back it on the wall of a Facebook group called Ohafia Political Forum. Copies of the documents, which were allegedly attached to the Facebook post and which Obono - Obla forwarded with his petitions to the security agencies, included a purported death certificate issued by the National Population Commission indicating that Buhari died of cardiac arrest in Abuja on September 19, 2017. “It is ill - motivated, distasteful and made in extreme bad faith,” Obono -Obla said of the documents in his petitions. According to him, the act violated the provisions of section 24 (1) (a),(b) and (2)(a),(b),( c )(i) ,(ii) of the Cybercrime (Prohibition & Prevention etc ) Act, 2015. Offences under the said provision carry between three to 10 years imprisonment with or without fines ranging between N7 m and N15 m.
“In the light of the above, I respectfully urge you to investigate this matter,” Obono - Obla stated.